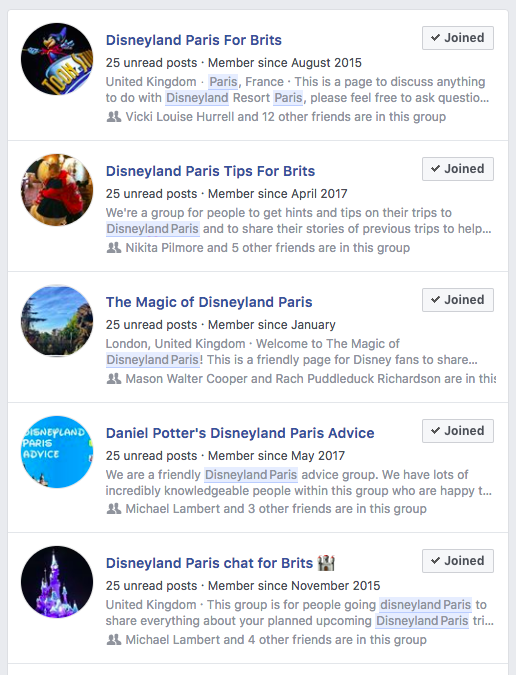 If you’ve booked a trip to Disneyland Paris, then you’re probably wondering what you need to do next. 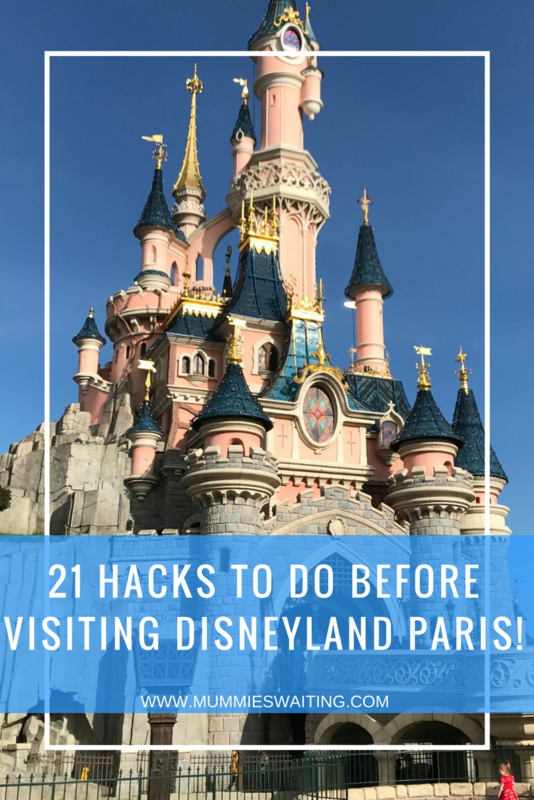 Check out these 21 things you need to do before visiting Disneyland Paris and get the most out of your magical trip. 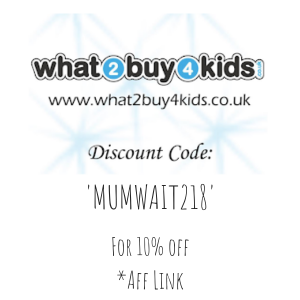 If you have the choice, book when the kids are off! The parks will be far quieter and you’ll queue less meaning you will get much more bang for your buck! 2. and the French ones too! Don’t forget to check the French holiday dates too, you might know the U.K. ones off by heart, but the French aren’t the same! 4. Find out what your child can ride? Save yourself the stress of being turned away when you get there and plan before you go, check out either this post: What can my child ride? or measure the kids and check their height on the DLP website. There are so many great groups which are full of information for every question you have, go join one now and start learning loads of tips to help you make your dreams come true. 6. Find out ways to skip the queues! 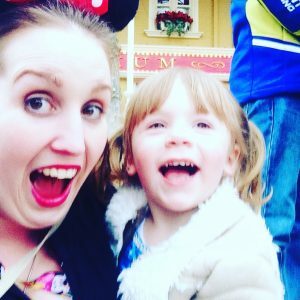 Have you heard about baby swap and the fast pass system? They are both free to use while in the park and will save you lots of valuable time queuing. Head over to one of those facebook groups above to find out more. If you have a Disability (temporary or permanent) or will be pregnant when you go, don’t forget to get your evidence together for a disability access pass. The pass will help the cast members help you and make sure you are standing for less time. Depending on the pass your family members can be with you too. Ask the kids what they want to dress up and go out and get something. The dress up is very expensive in the parks and lots of people will tell you that kids often get chosen to skip the queue with a little pixi dust! 9. 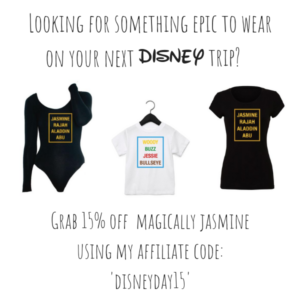 Create yourself an amazing Disneybound! Adults can’t dress up in the parks, but they can ‘Disneybound’. Create yourself a Minnie Mouse outfit by matching a red and white spotted skirt with a black top and hair bow. There are so many ideas on Google, so get creative, you’ll find the character will love you. Save yourself some money and buy those spinning lightups before you go. There are some great ones on amazon like this (affilaite link). If you are looking to save money, you could even get some Disney merch to sneak in your case too! 11. and a lanyard too! Don’t forget to check what time the Parade and Fireworks are on and also what attractions are closed during your visit. This way you’ll be prepared to make dining reservations before you go. If you’ve booked a dining plan or you just want to guarantee your meal, make sure you ring up 60 days before your trip and book those restaurants. Oh and don’t forget a character meal too (we recommend the character breakfast!). They are a great way to get lots of interaction without hours of queuing, but book quick! If you are looking for some fab memories, you might want to consider purchasing the PhotoPass+ before you leave. it’s slightly cheaper in the UK, so it’s something to consider. Is the PhotoPass+ really worth it? Kids get so hungry in the parks, but with a drink and a donut racking up to almost €6, you might want to think about creating snack packs before you go. Picnic hampers are banned at DLP, but you are still completely allowed to take in sandwiches, mini boxes of raisins, drinks and plenty of other food and drinks to keep those cravings at bay! The Parade and Fireworks are magical, just the music can set me off crying. So you are going to want to find out the best place to save your spot before you go. Oh, and don’t forget to turn up early, the spots will be taken fast! Disneyland Paris has two great apps, 1 for its park map and wait times and the other for its PhotoPass. Don’t forget to download them both before you go, so you can stay on top of whats going on. 19. Get yourself some comfortable walking shoes! Ouch! MY FEET HURT! It’s what you will be saying after the end of your first day. Save yourself some pain and grab your self some, comfortable sensible shoes and wear them in before you leave for your trip. If you don’t think your child will be able to walk the whole trip, then consider taking a buggy . My 2 and 4 year old (3 at the time) walked the whole trip, but other people have their 7 year olds in buggies, so plan ahead and don’t get stuck hiring one in the parks. 21. Gran the list of 21 secrets! 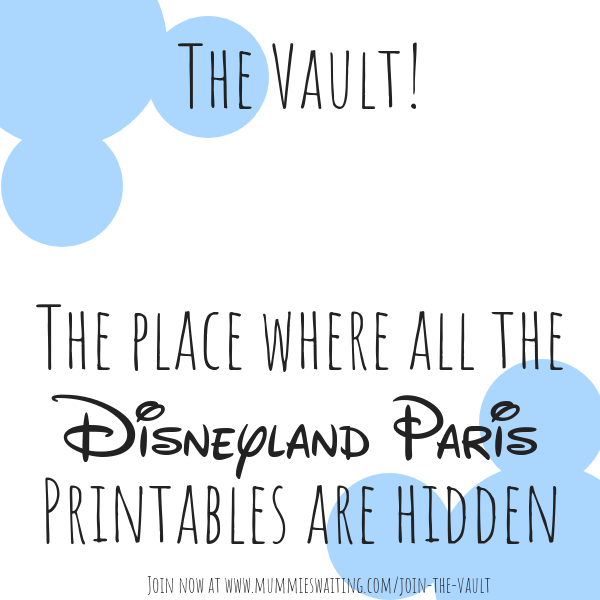 Don’t forget to grab the 21 Secrets you didn’t know about Disneyland Paris Scavenger Hunt, it’s full of exciting things for you and the kids to do when walking and waiting in the parks.